For once, I’ll keep it short. No drama, no small details. Nothing. For once, I won’t waste your time with words and more words. Because for once, things were easy. Just for once. Don’t get your hopes up for the onces coming. Believe me. DON’T. DJ Cash Money àll the way from Philadelphia playing a set in club Stereo Sushi in Antwerp (you know, the center of the world). Cash Money is worth your last penny, so If you have the chance to see him spin his records faster than I can say supercalifraglistic expialidocious, just do it! May I state that Mr Cash Money gave his àll that night? He was sweating, spinning, scratching, ‘transforming’ (the scratch technique that he and a certain Spinbad are known for) and yelling through the mic while the crowd was taking their second breath, keeping up with the man and his energy. 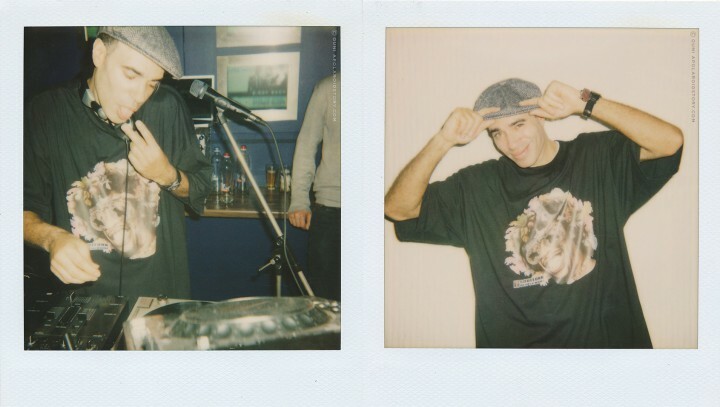 DJ Cash Money won the prestigious New Music Seminar DJ Championship, the DMC American Mixing Championship and the DMC World Supremacy DJ Championship ànd Technics, world known for producing turntables made him the first member of the DJ Hall Of Fame in 1988. He is a producer as well and best know for his work with Busta Rhymes and Q-Tip. Still doubting to pay those Euros? PS: Oh right, you guys were wondering how I managed to get the picture? Well, I just asked when he walked by. DJ Cash Money is so oldskool you can even ask the man for a picture and a kiss on the cheek. Now how classy is that?